Whether to push your club over the top and win the league, or to get an edge in the relegation battle, you know exactly who you need to sign. Only one problem, you don't quite have the cash to finalise the deal. We've all been there. So what can you do? 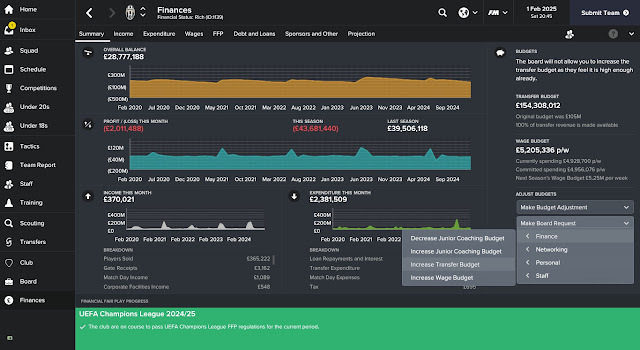 The most obvious course of action, you can do this by going to the section of the sidebar labelled "Board," clicking Make Board Request, selecting Finance, and then selecting Transfer Budget. This will take you to a meeting with the chairman and give you several options. Choose the one most applicable to your situation, and you might get some money out of it. You can make use of clauses in almost every situation. If you are buying a young player, you might want to make use of a fee after 30 or so appearances so that you don't need to pay it all at once and can keep some of your capital free. If you are thinking you might keep a player for a season or two to provide depth you might want to add a fee for reaching a goals target that you don't think that they will achieve. And if a player is out of your price range, you could put a clause in that will pay the bulk of the fee over several months or even up to four years. The Bosman Ruling said that Jean-Marc Bosman could leave the team he was playing for at the end of his contract without a transfer fee. 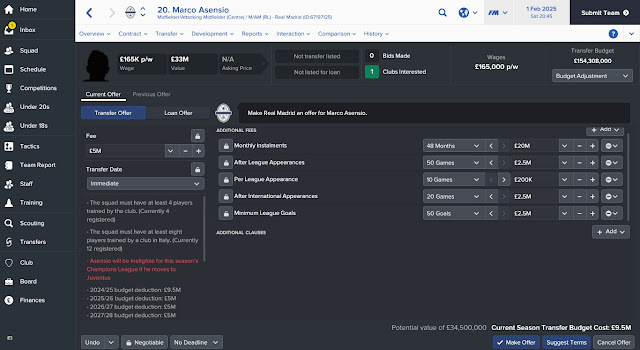 Applied to FM, it means that when a player is above the age of 23, he can join your club without you paying a fee. 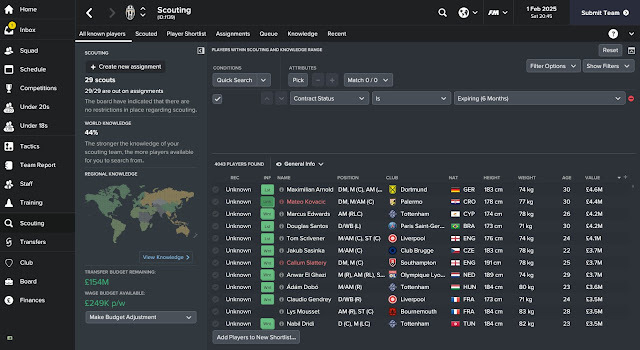 To find these players go to Scouting, Contract Status, and choose six months or less. 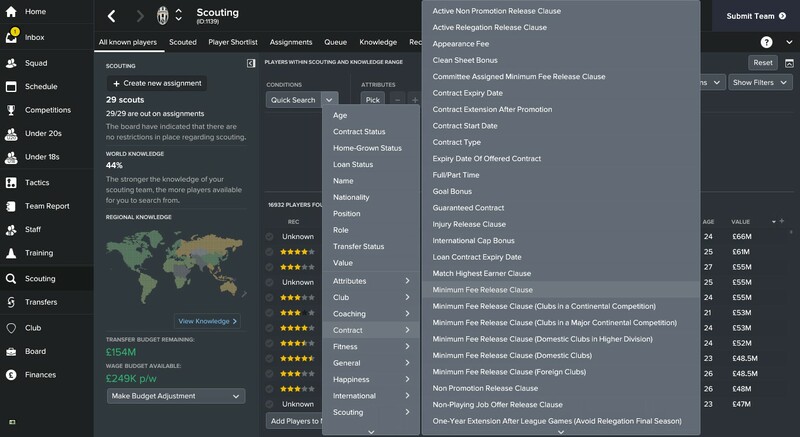 A minimum fee release clause means that if you offer a certain amount, the other club must accept, and these can be great for finding young talent on cheap contracts. You can find these players by going to Scouting and choosing Minimum Fee release clause. Football Manager guide on how to get more out of your transfer budget. 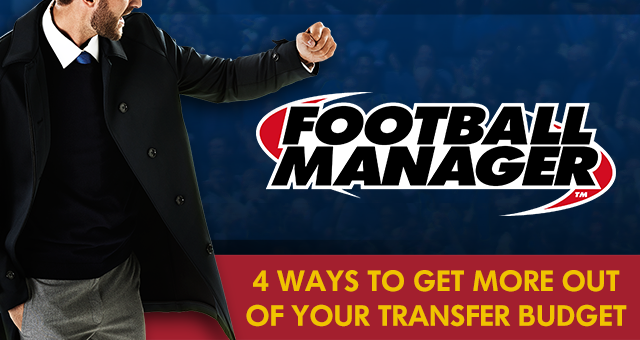 Follow these four steps to get the max out of your transfer game.